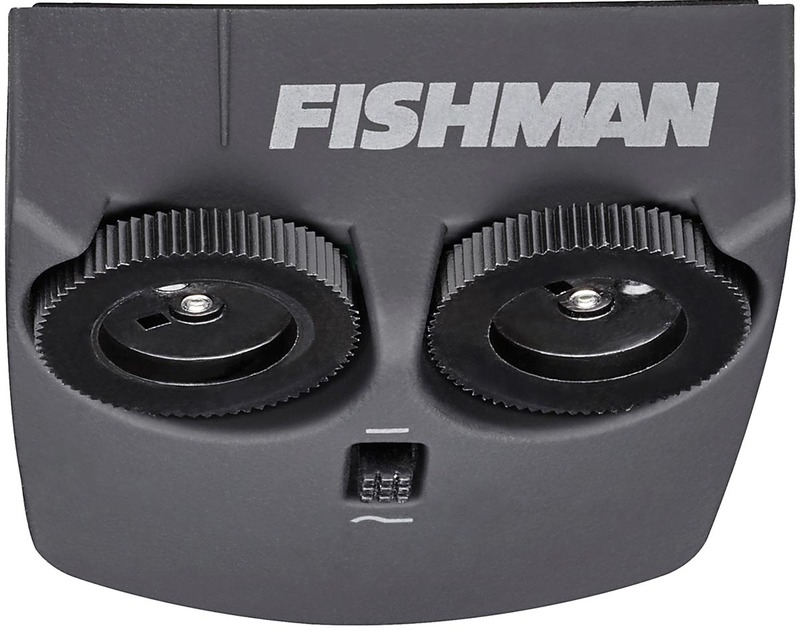 The Fishman Matrix Infinity VT Mic Blend pickup system adds an internally mounted multi-position cardioid condenser microphone for increased "air" and presence, with a soundhole mounted control to blend between the mic and the Matrix pickup. Built-in stereo output is available simply by using a stereo cable (not included), and the controls provide the same functionality in stereo mode. 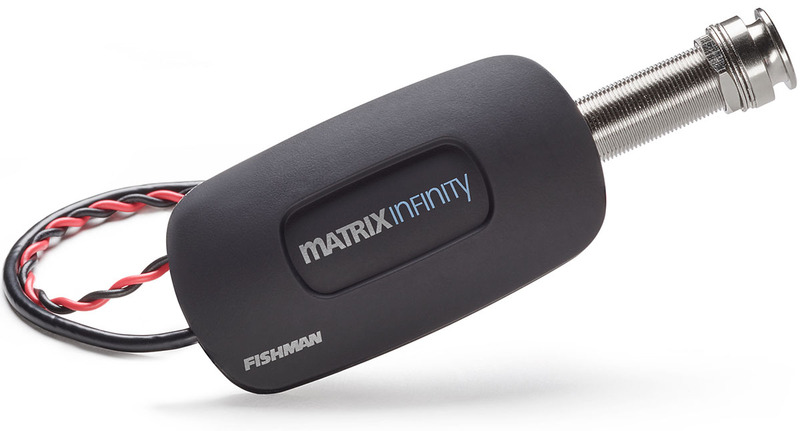 The Fishman Matrix Infinity VT is the latest evolution of Fishman's widely popular Matrix pickup series. The soundhole-mounted volume/tone control assembly has been redesigned with a streamlined, sealed enclosure and the thumbwheels are inclined at an angle to allow easier adjustments to your sound. The triangular mounting plate for the controller is just 1-5/8" x 5/8" and will fit most guitar soundholes. 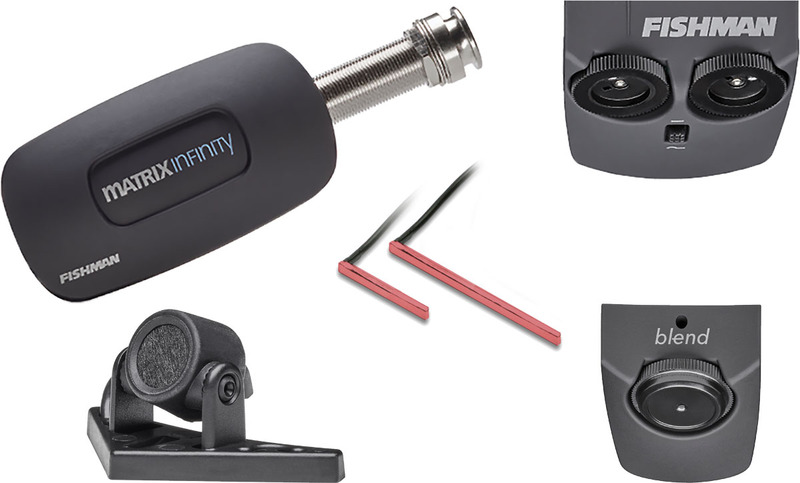 The Matrix Infinity endpin jack preamp housing has been redesigned for easier installation and adjustments, and now includes an integrated low-battery LED indicator. The Matrix preamp provides voicing for steel or nylon-string guitars, and includes mounting hardware and a chrome strap button. All connections are solderless for easier installation. 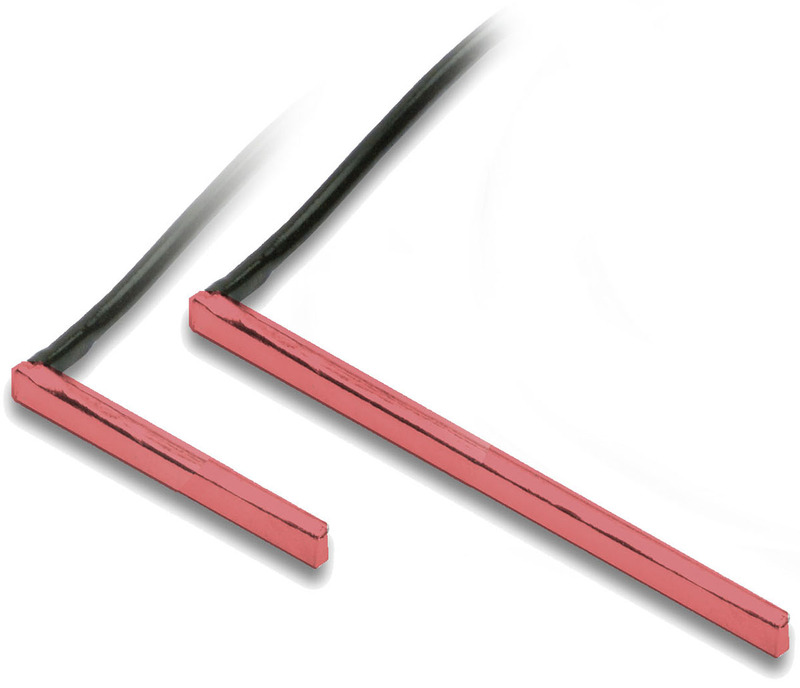 The Matrix pickup sensors are suitable for guitars with split saddles such as found on some Takamine and Ovation guitars. The longer sensor handles four strings, and the short sensor handles two. Unlike standard piezo undersaddle pickups the Matrix pickups are not string-position dependent. A standard 9 volt battery (not included) provides up to about 90 hours of performance time. Professional installation recommended.